Extinction Of Mankind from England is the history of crust already. Formed in 1992, in the last 20 years they have toured with Wolfpack, Misery, Skitsystem among the others, have unleashed splits with Doom, Misery, Warcollapse and Phobia, plus 3 more singles and 3 full-lenghts. 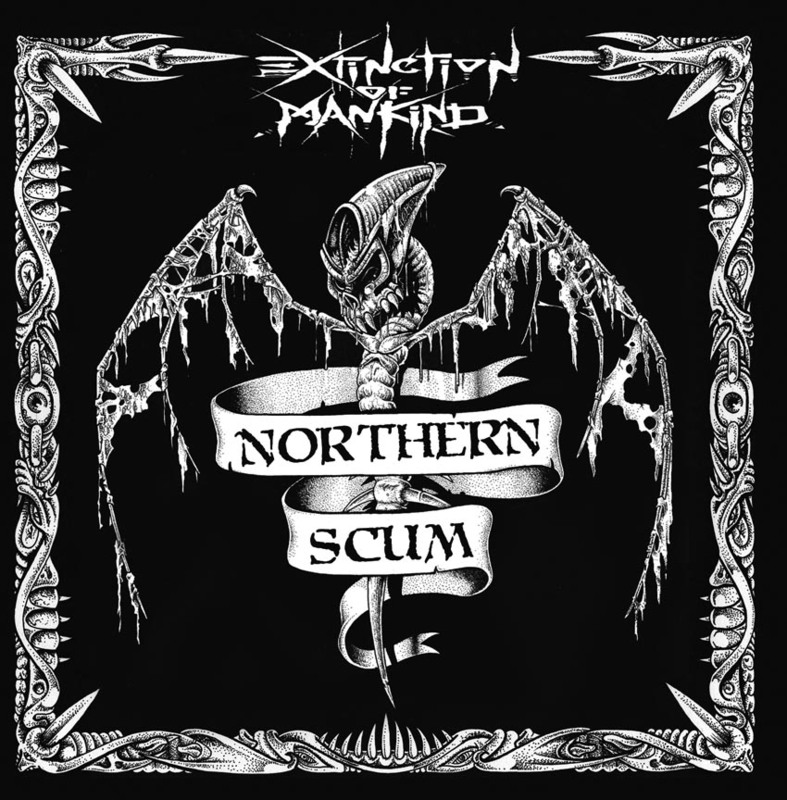 Their sound has always been unique, influenced equally by Amebix, Discharge and Antisect, through the years it has become more and more crushing with metal fills and a Venom + Celtic Frost vibe, reaching the peak on "Northern Scum", one of the most devastating crust albums ever. Originally recorded in 2006 it sees the light again on a limited vinyl press with improved layout for those who missed it. Retail orders from Agipunk will come with exclusive A2 poster.